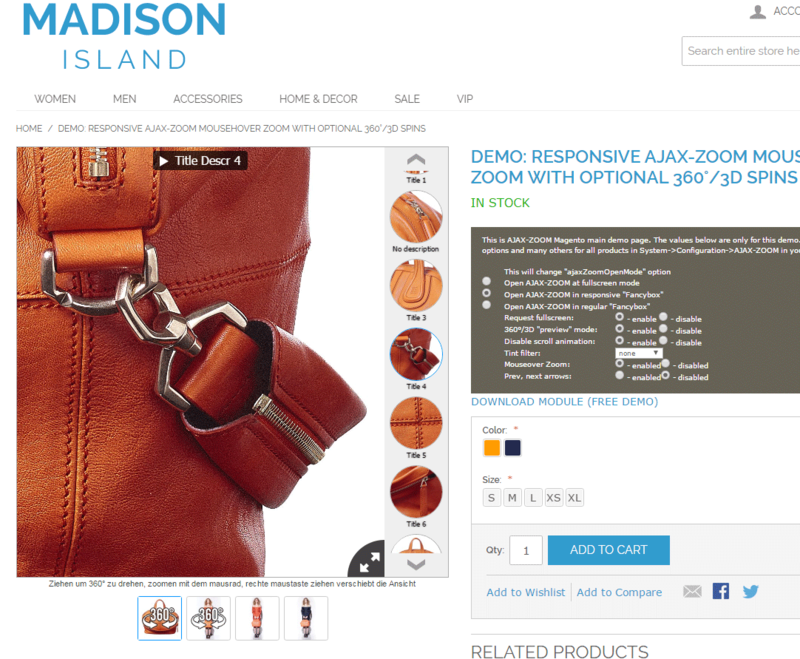 In the frontend of Magento's product detail page, AJAX-ZOOM plugin for Magento replaces the default viewer with the responsive image zoom on hover + optional 360° + videos AJAX-ZOOM extension. Optionally, you can insert the 360 product views into a tab or elsewhere on the page by using a definable jQuery selector. In the latter case case, the default image viewer remains, or you can replace it with a different third-party plugin. 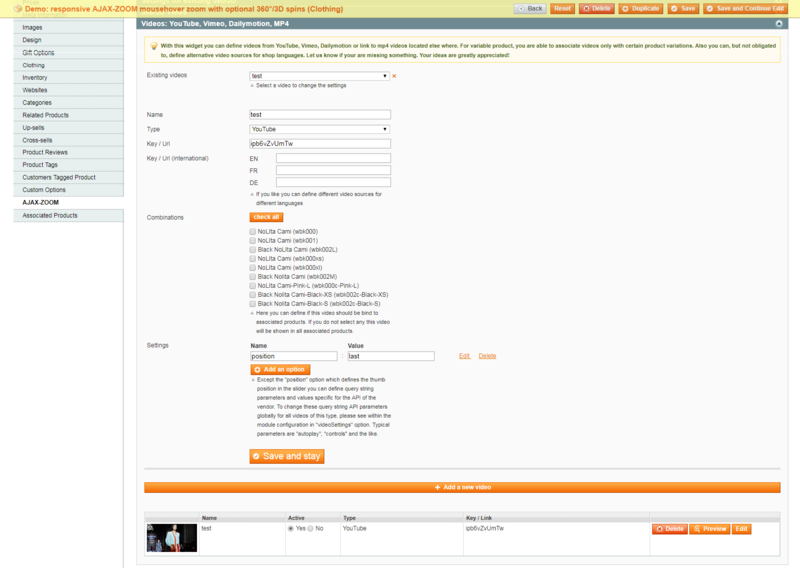 Thus, there is also a possibility to use the plugin only for 360 product views. 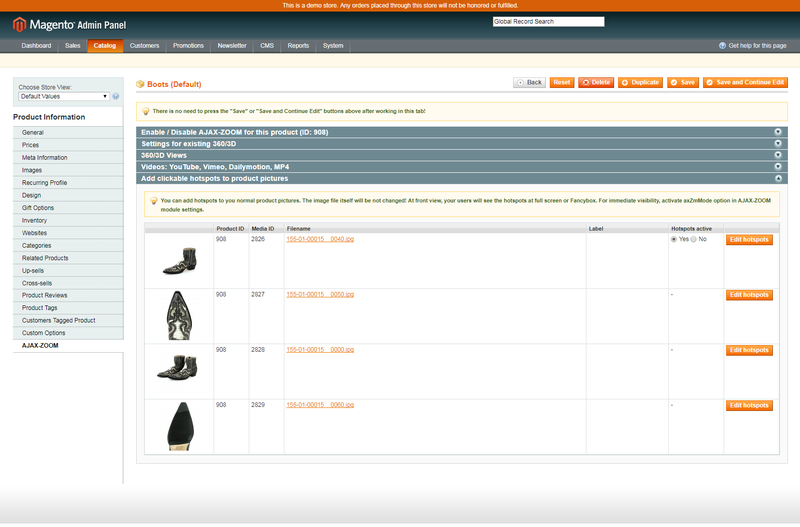 In the backend, administrators can upload several 360 product images or import them from ZIP files, which were previously uploaded, e.g., over FTP. 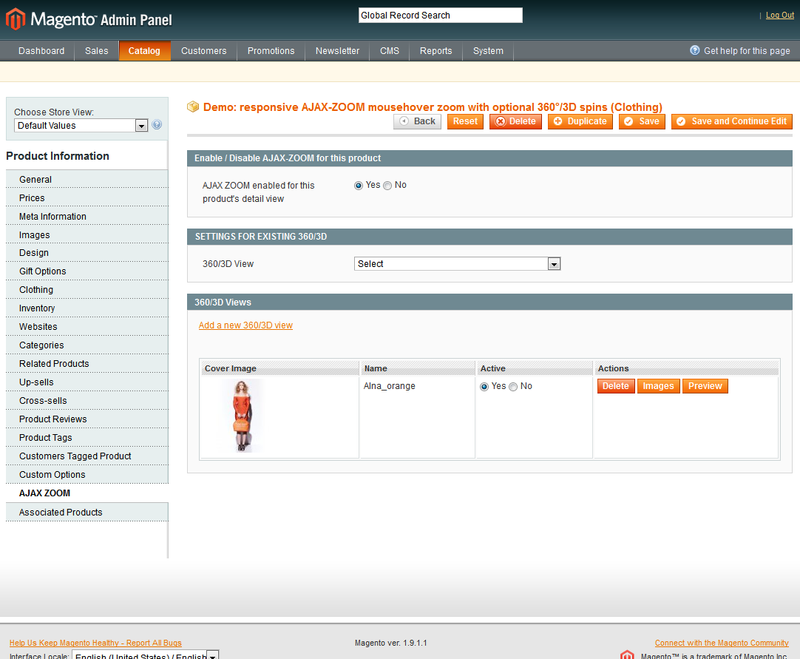 You can configure each 360 product view with individual settings and assign it to a combination of associated products. 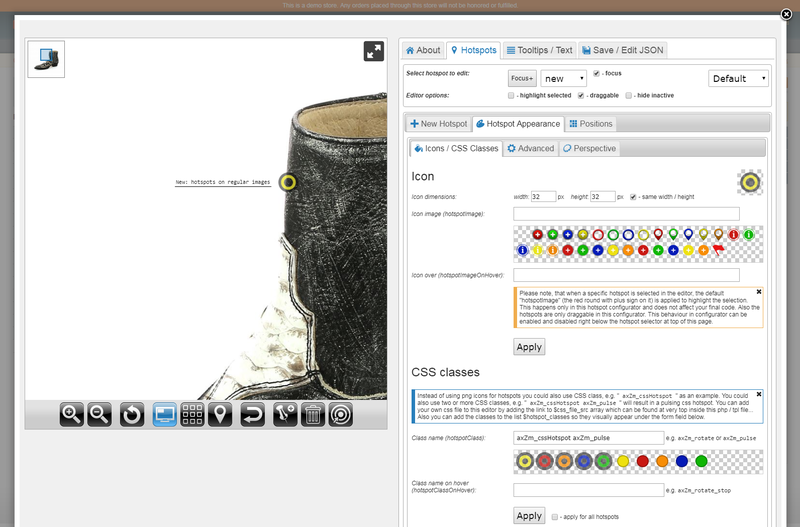 Accordingly, at the frontend, the plugin connects to the color-swatch and variations selection, and besides images, it can switch 360 product views as well. Furthermore, there is an option to define videos from YouTube, Vimeo or link to mp4 stream. Same as with the 360 product views, you can assign these videos to only certain product variations and even define different video sources for different languages! The optional "product tours" and interactive hotspots that are definable via integrated editors are the icing on the cake in this plugin. 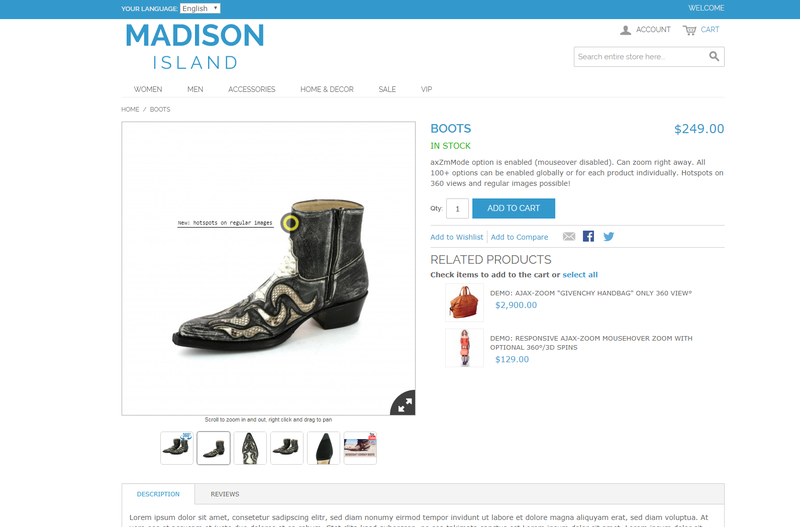 For your regular product images, there is no need to change anything. Though, you can add clickable and interactive hotspots to them too. * - You do not need to download AJAX-ZOOM main script separately as the module can instantly download the latest version of AJAX-ZOOM during the installation. 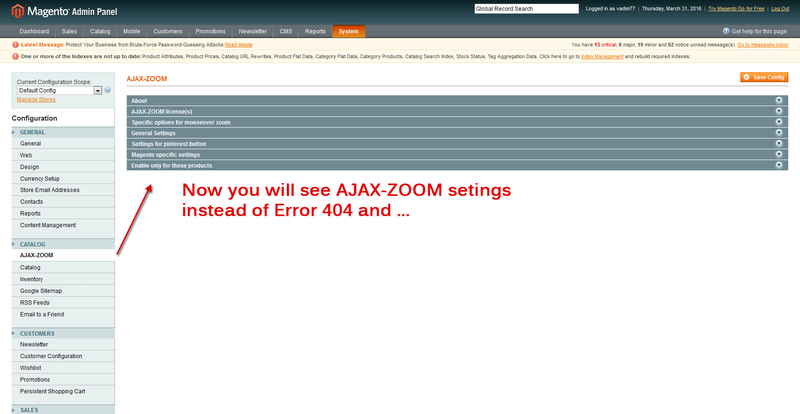 However, since this can fail you might need to upload AJAX-ZOOM main script manually, see Troubleshooting. 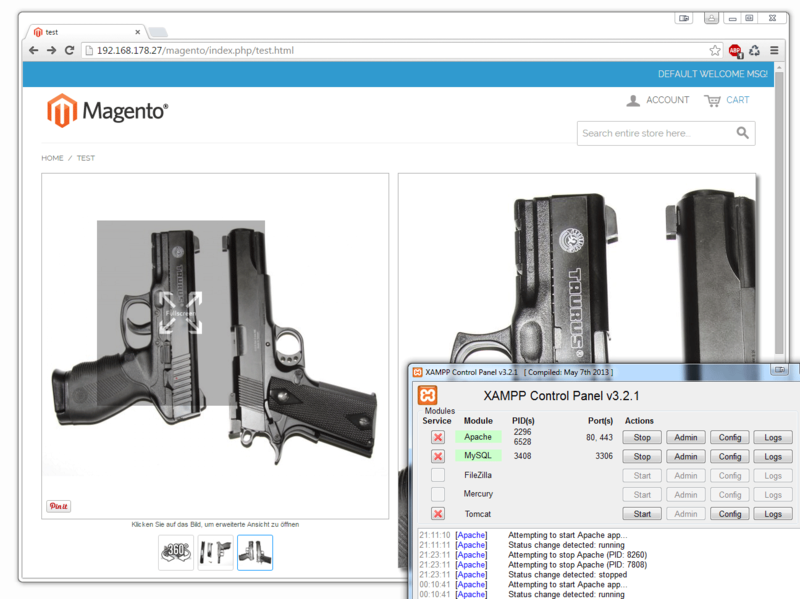 You can download the AJAX-ZOOM plugin for Magento and test it in your development environment! Test it thoroughly before you buy. The Magento logo above is used for illustration. 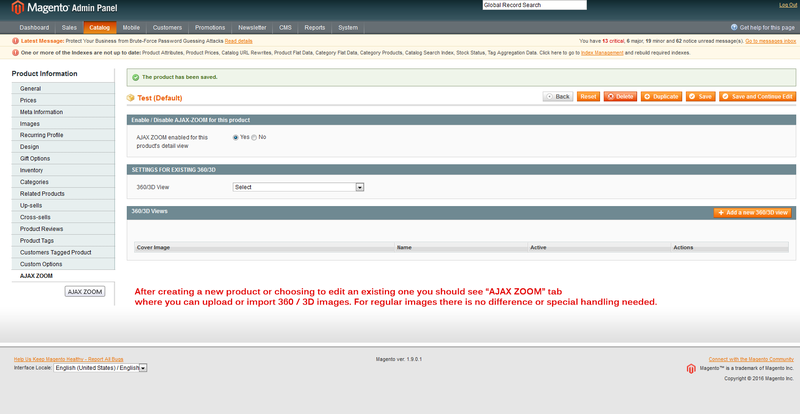 AJAX-ZOOM is not affiliated or in partnership with Magento. 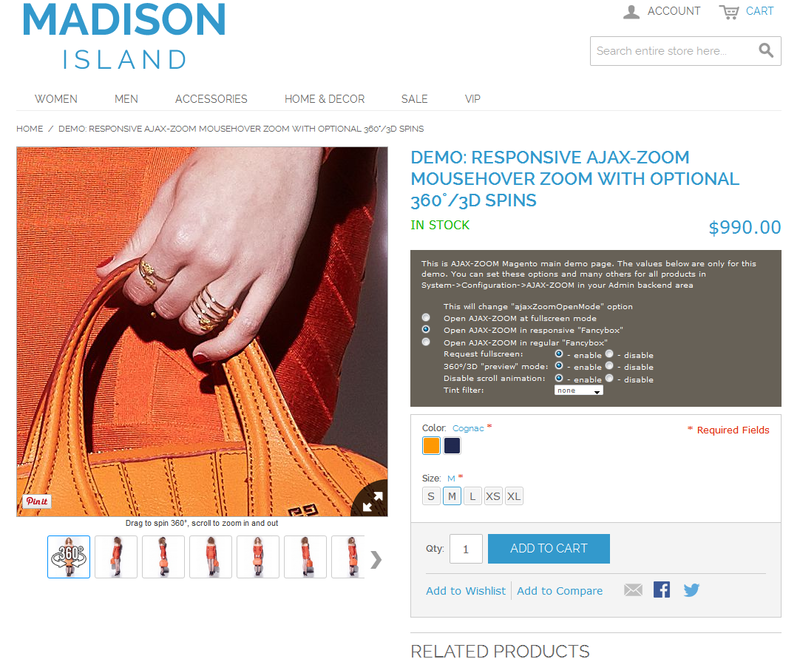 This AJAX-ZOOM extension for Magento is not an official extension of Magento company. 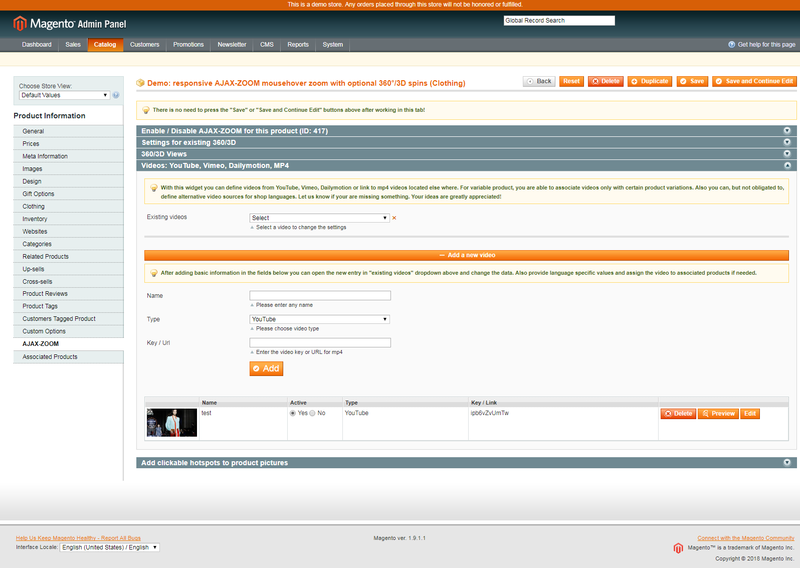 Backend: 360 degree interactive "Product Tour"
The 360 "product tour" editor is straightforward to use. 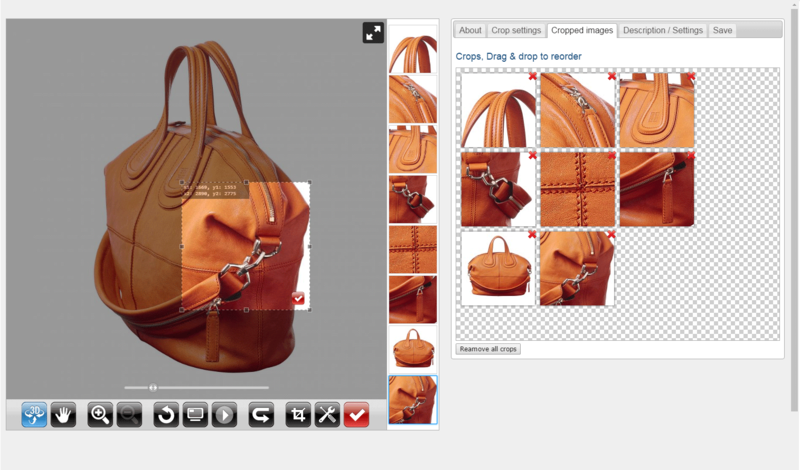 Simply select areas of interest in your 360-view and hit the crop button. The editor instantly generates thumbnails of these areas and place them into the thumbnails gallery. 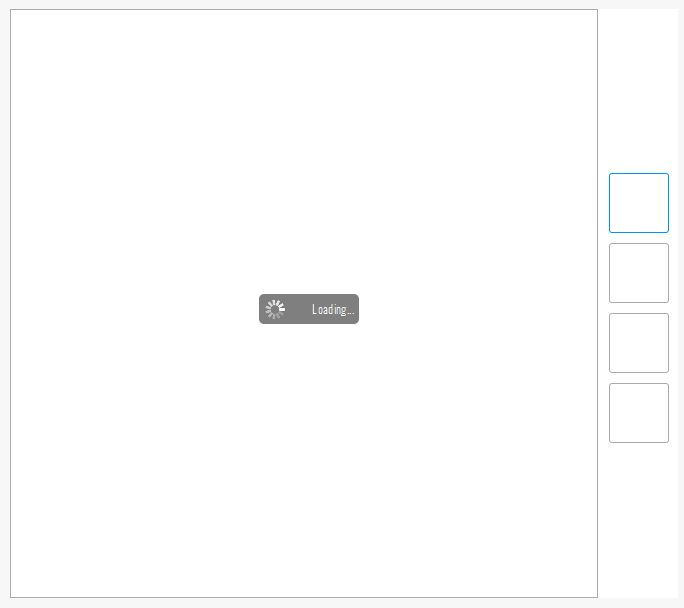 At the front end, when users click a thumbnail, the player spins and zooms to this selected area depicted in the thumbnail. 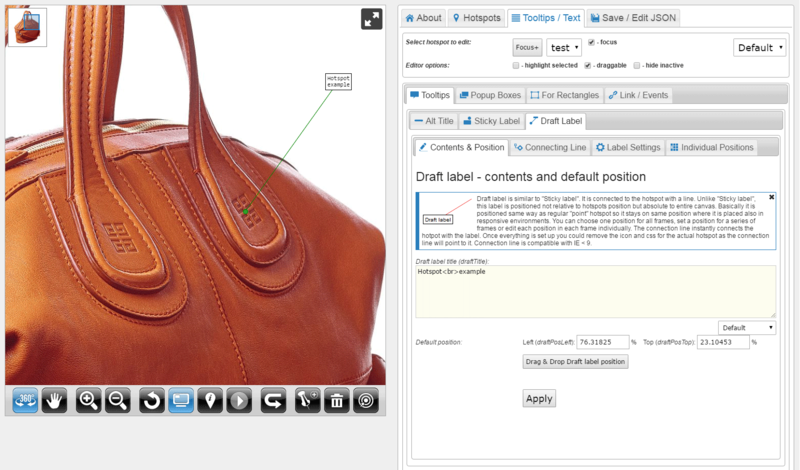 The 360 hotspots editor offers extensive options for placing clickable markings on your 360 views. 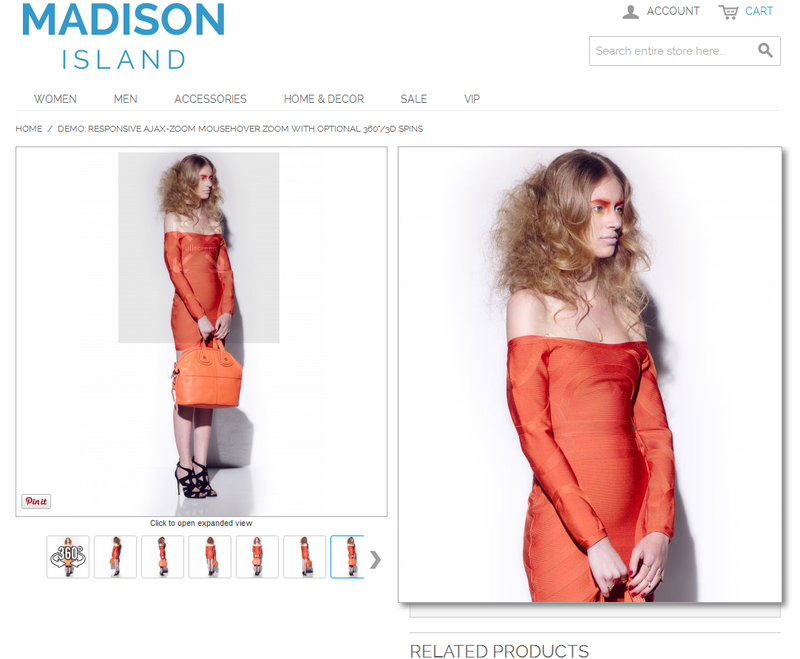 It is integrated directly into the backend section of your Magento installation. Hotpots and 360-degree product tour are compatible with each other. 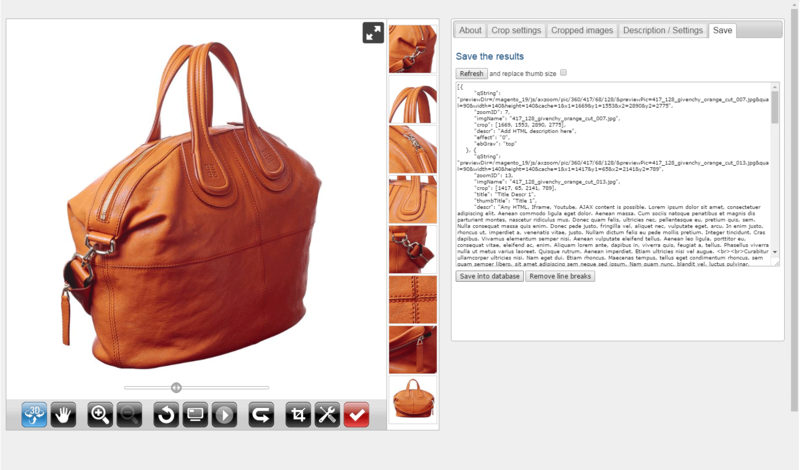 You can apply both to the same 360 product view. With this widget, you can define videos from YouTube, Vimeo, Dailymotion or link to mp4 videos located elsewhere. For variable product, you can associate videos only with certain product variations. Also, you can, but not obligated to, define alternative video sources for shop languages. You do not necessarily need to use the AJAX-ZOOM batch tool, because if image tiles and other AJAX-ZOOM caches have not been generated yet, AJAX-ZOOM will process the images on-the-fly. Latest, when they appear at the frontend. However, if you have thousands of images, it is a good idea to batch process all existing images, which you plan to show over AJAX-ZOOM, before launching the new website or before enabling AJAX-ZOOM at frontend. 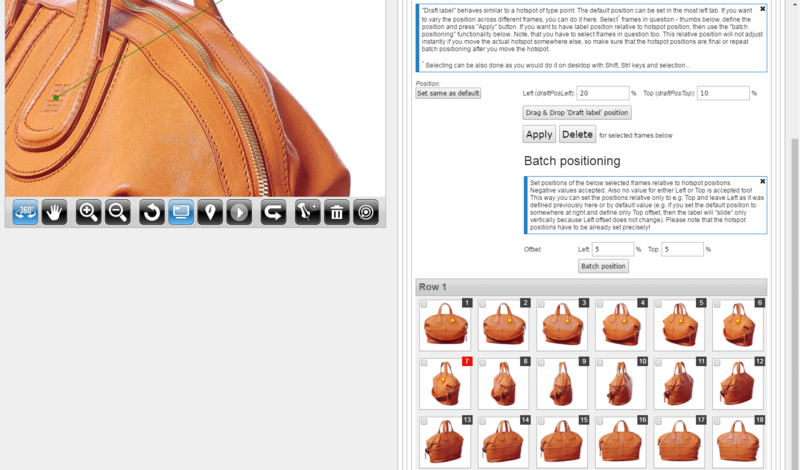 Frontend: 360 degree interactive "Product Tour"
For the regular images, there is no need to do anything. You can upload them as always. 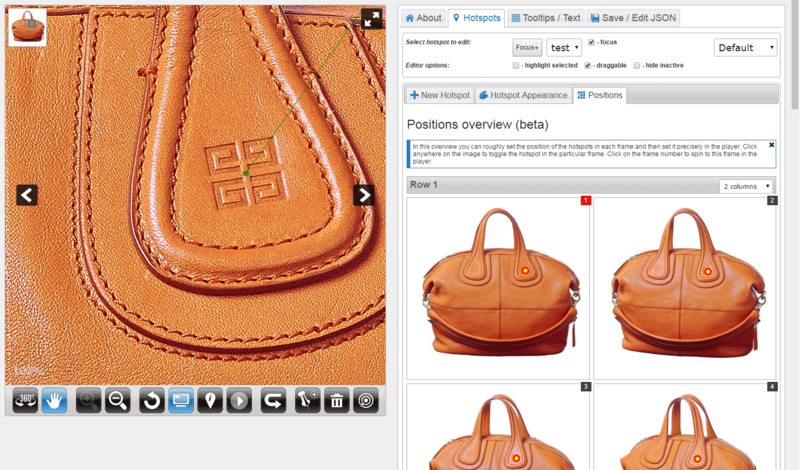 You can add hotspots to your plain product pictures. That does not change your images physically! 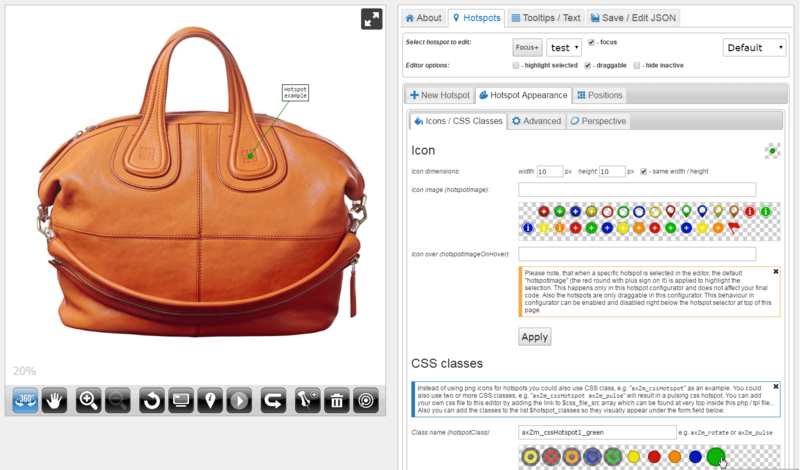 At front view, your users can see the hotspots at the full-screen view or when the viewer opens inside the responsive Fancybox implementation. 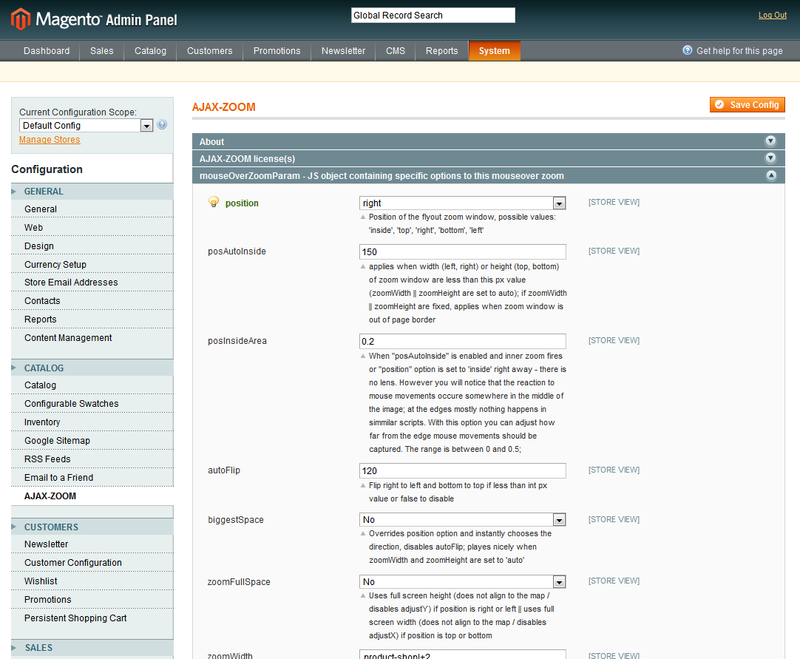 For immediate visibility, activate the axZmMode option in AJAX-ZOOM module settings. 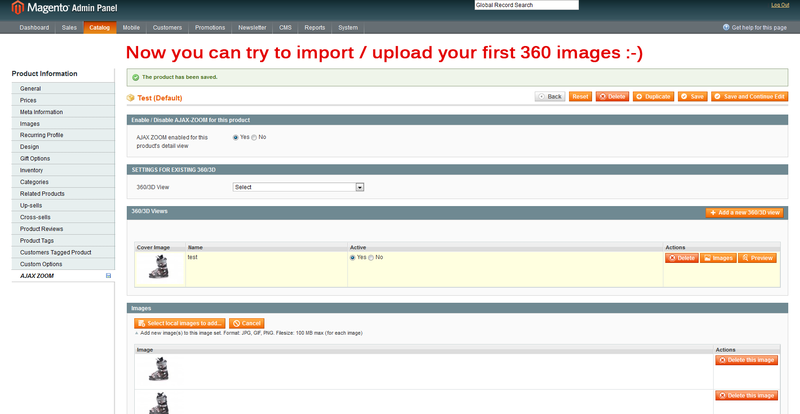 Select a zip file which contains images for a 360° set to import. On default, these zip files have to be uploaded in '/js/axzoom/zip/' directory and can be removed after import. 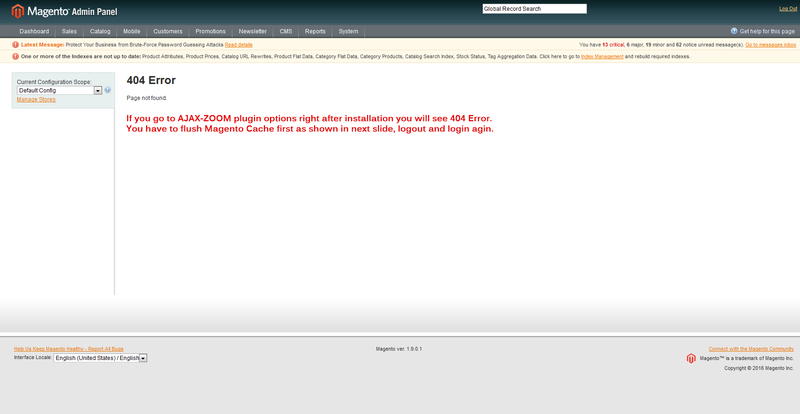 Please note that if you remove AJAX-ZOOM over Magento Connect Manager and will install it again, you will need to DELETE FROM `core_resource` WHERE `code` = 'axzoom_setup' for the installer to complete the process. 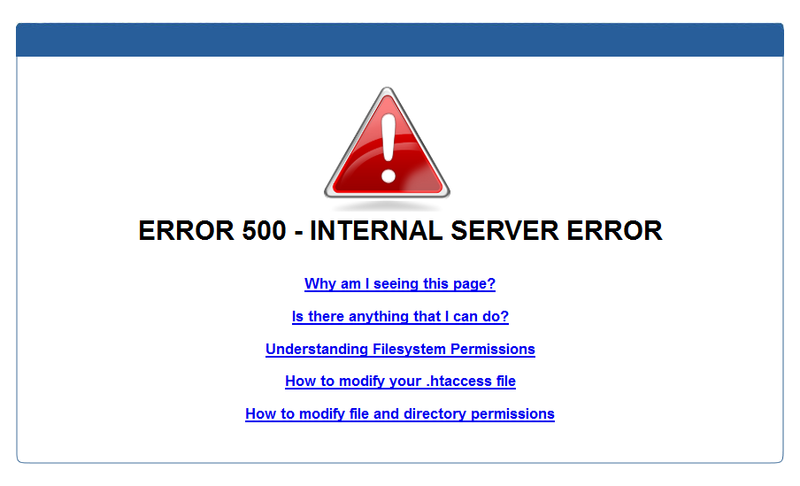 Make sure your server and Magento requirements are met! It is recommended to set chmod 777 or similar (depending on server settings / owner) for "/js/axzoom/pic" and "js/axzoom/tmp" directories. 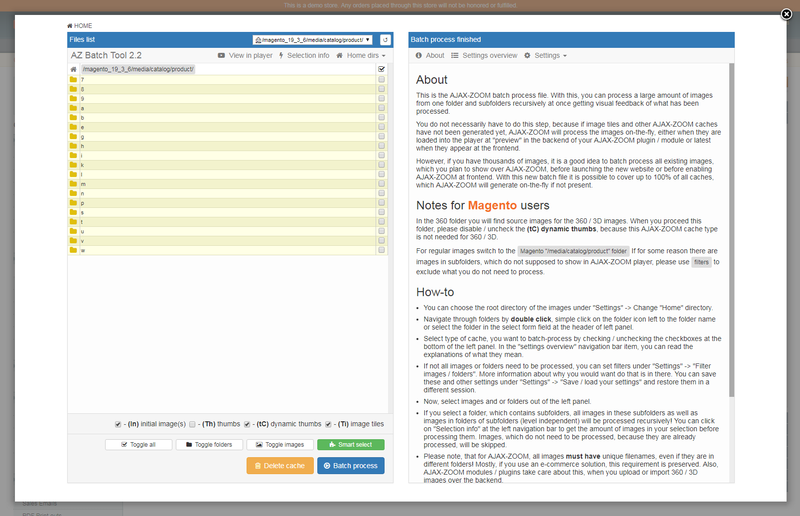 Go to System -> Cache Management and click on 'Flush Magento Cache' and 'Flush Cache Storage' buttons. 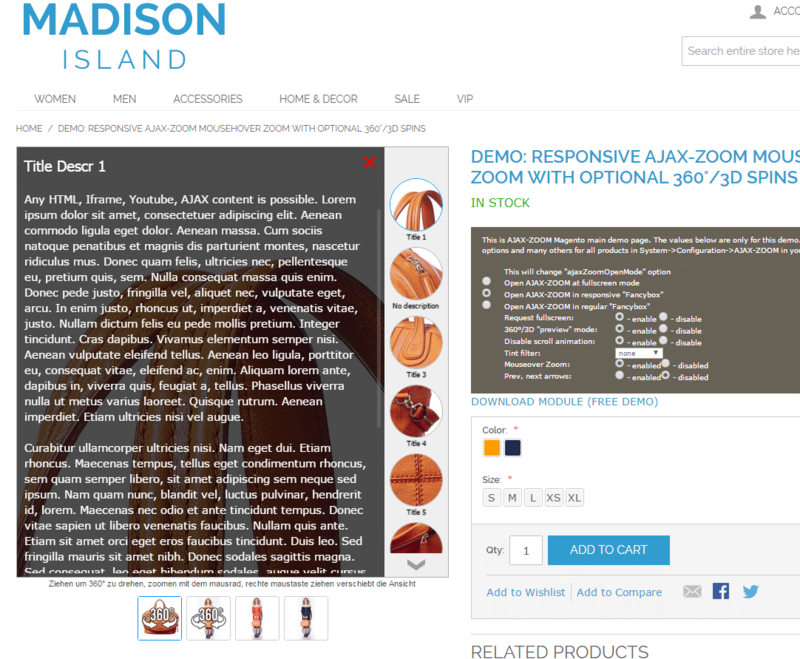 AJAX-ZOOM can be placed on the product detail page in three primary ways. The default way is that the media.phtml template file is replaced by the AJAX-ZOOM plugin media.phtml file. 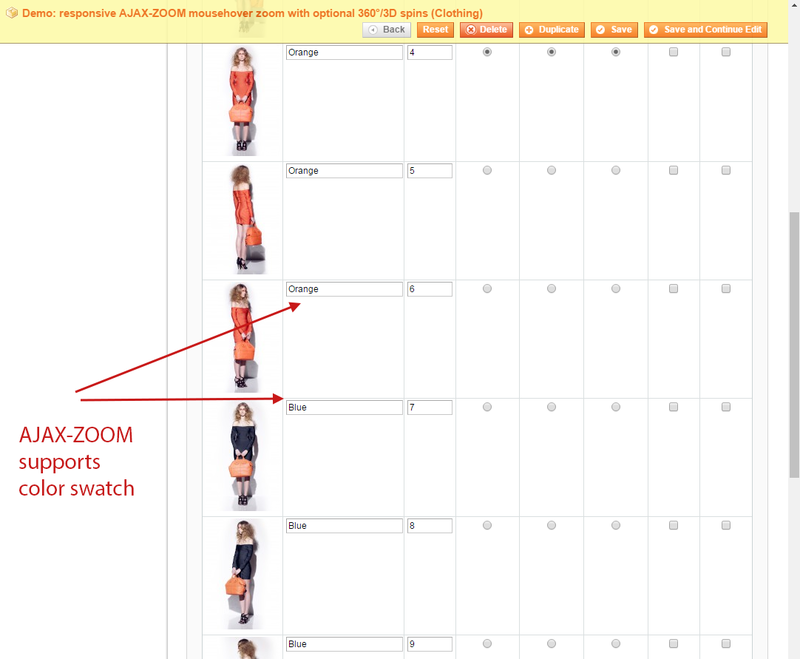 The zoom on hover is enabled, and you can display images, 360 spins, and videos within one viewer. 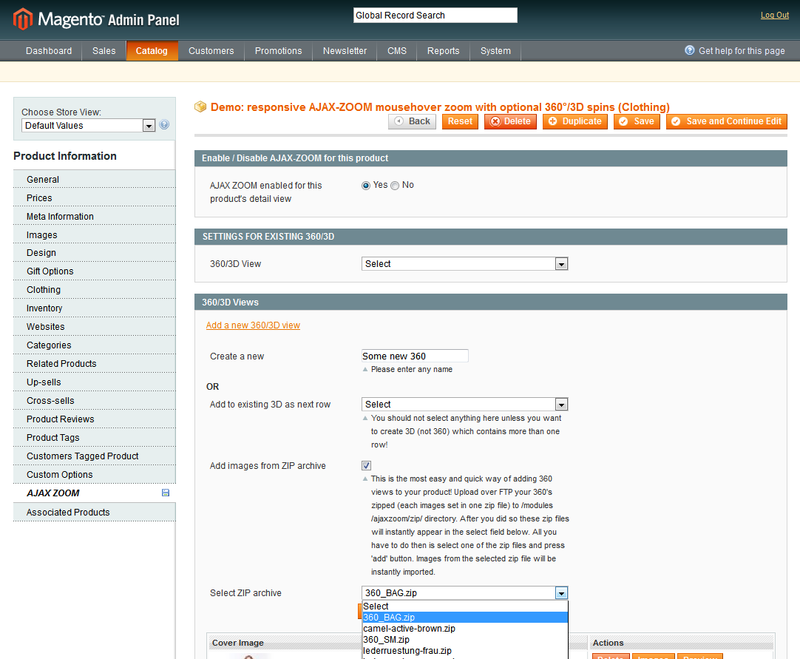 If you do not want to have the mouseover zoom for regular images as the preview, you can enable the "axZmMode" option. That lets users to deeply zoom into the images without any previews using image tiles technology, similar to Google maps, where the image gets sharp when you zoom in. 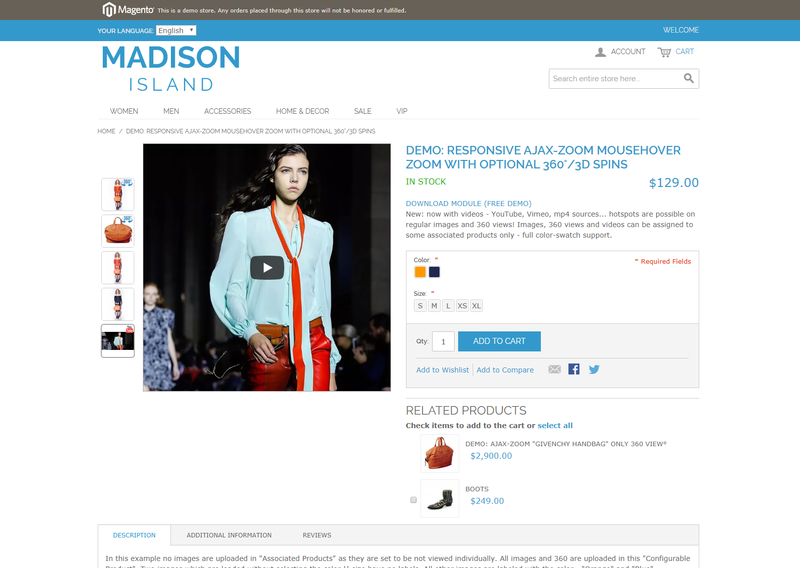 The basic functionality is similar to what Magento 1 had in former versions, where there was a slider under the images for zooming in. 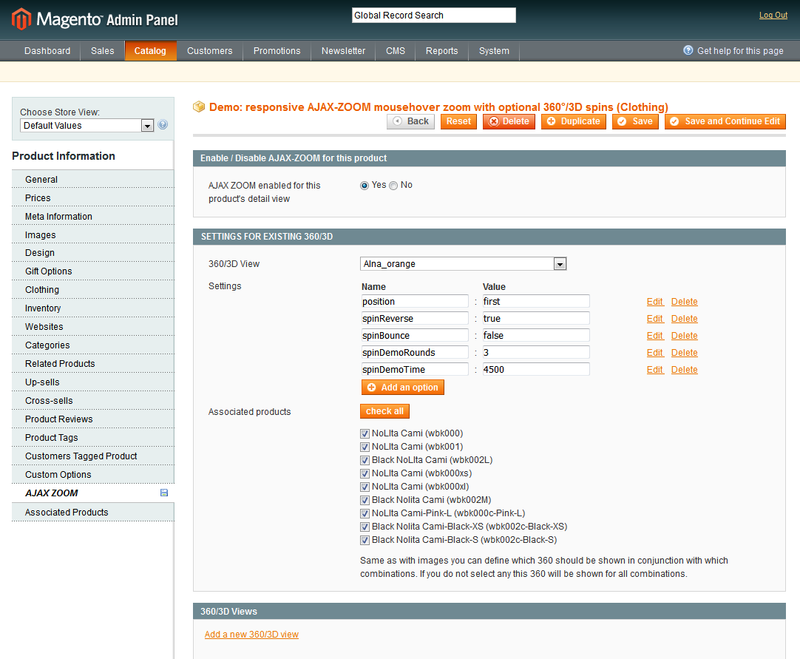 Enabling "axZmMode" option replaces the standard images display (media.phtml) as well. 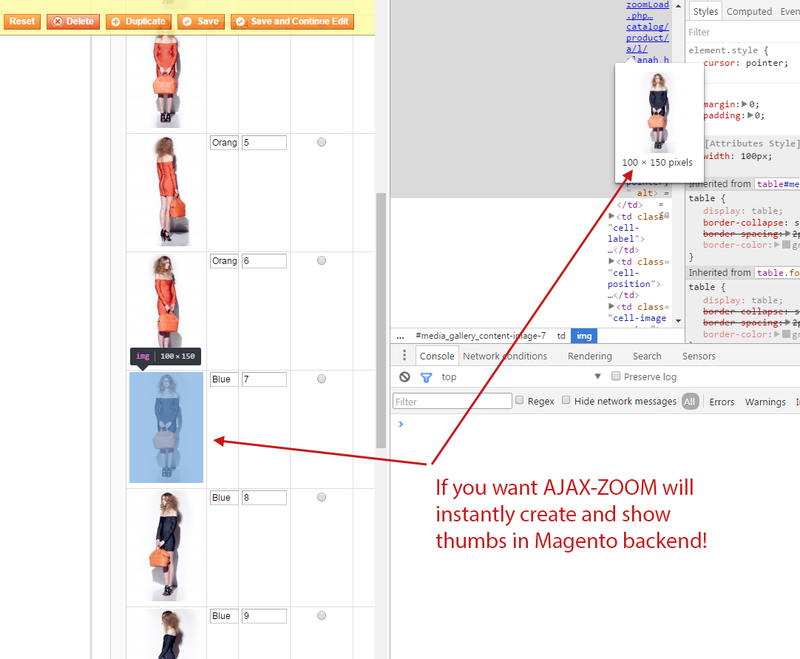 Starting from AJAX-ZOOM plugin v. 1.4.2 for Magento, you can keep the standard images viewer from a theme or use a different third-party plugin for "media.phtml" block area. 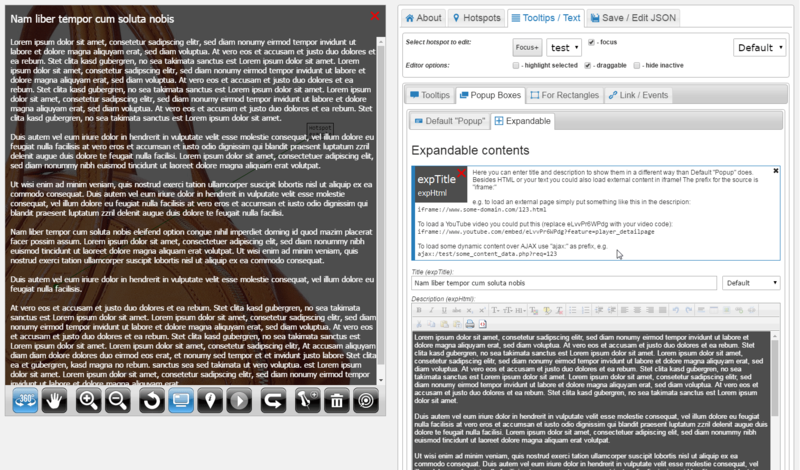 In that case, AJAX-ZOOM plugin does not replace the media.phtml. 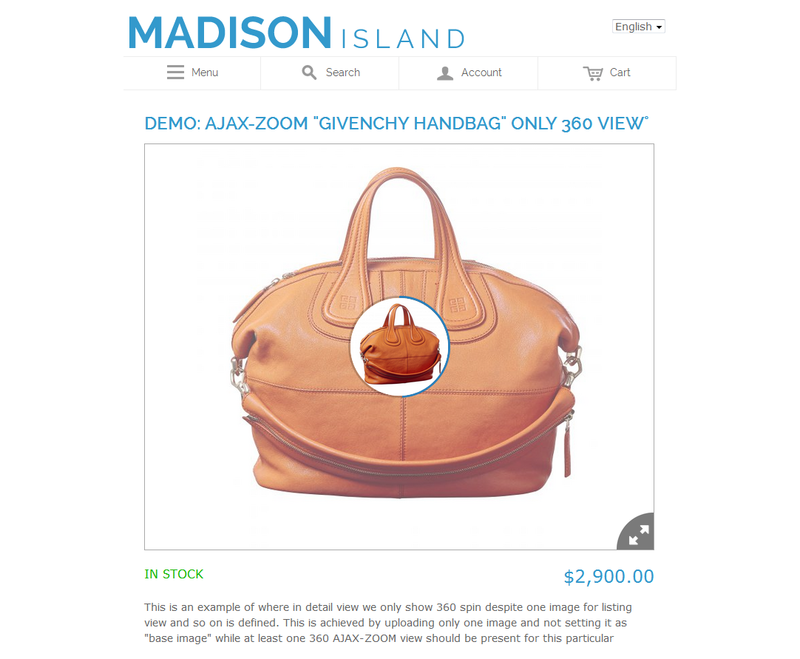 Instead, AJAX-ZOOM viewer appends to some HTML element on your product detail page, e.g., it can be appended or prepended to your product description. You can achieve it by defining the "displayInSelector" option. 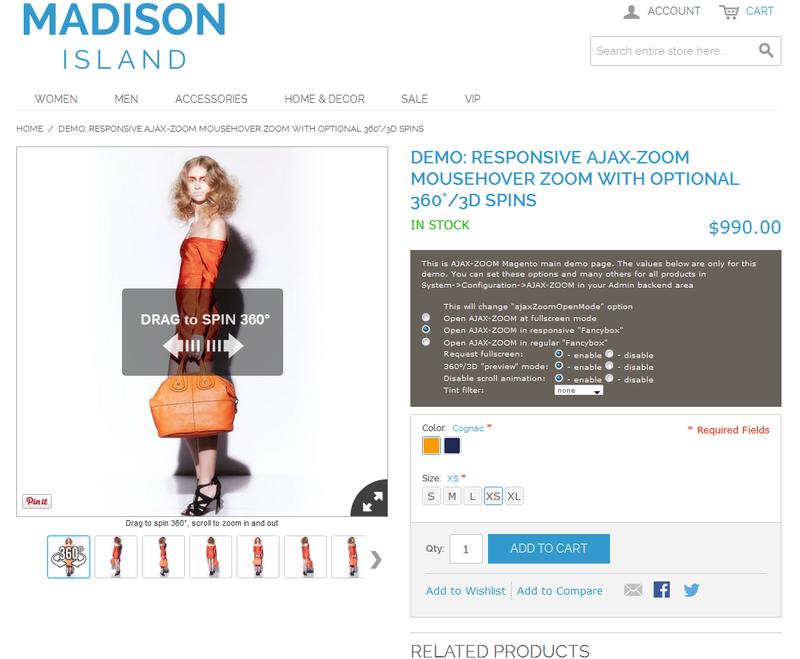 The value of this option must be a jQuery selector, e.g., in the default "madisonisland" skin, if you want to append the player to the product description, the value for "displayInSelector" option would be ".tab-content:eq(0)" (first element with the "tab-content" class ). The special about this option is that only 360-degree spins, videos, and images, for which you have defined at least one hotspot in the admin area, are added to the items collection that displays in the AJAX-ZOOM viewer. 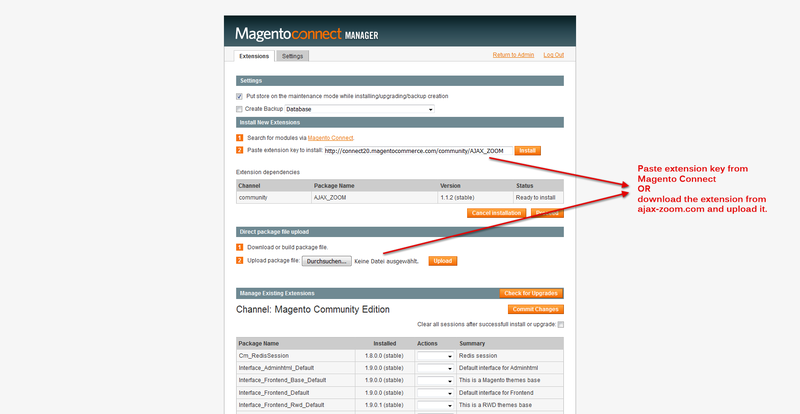 If you want to exclude the image that has hotspots from showing in parallel in your standard images viewer at the top of the page, you can ban it by the Magento own images exclude checkbox at the backend. 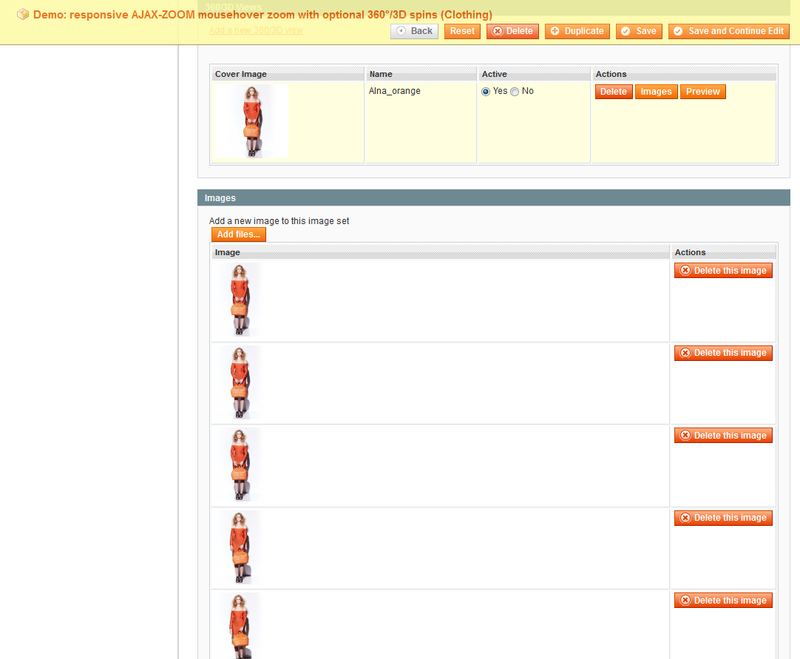 It will still display in the AJAX-ZOOM viewer aside from main images view regardless of that exclusion. During installation, the installer downloads AJAX-ZOOM automatically. In some cases, e.g. 'allow_url_fopen' is disabled or a timeout occurs, the process can fail without notice. Please check that the folder /js/axzoom/axZm exists and it is not empty. If it does not exist or it is empty, please download AJAX-ZOOM from our page and extract only the axZm folder into /js/axzoom/axZm manually. 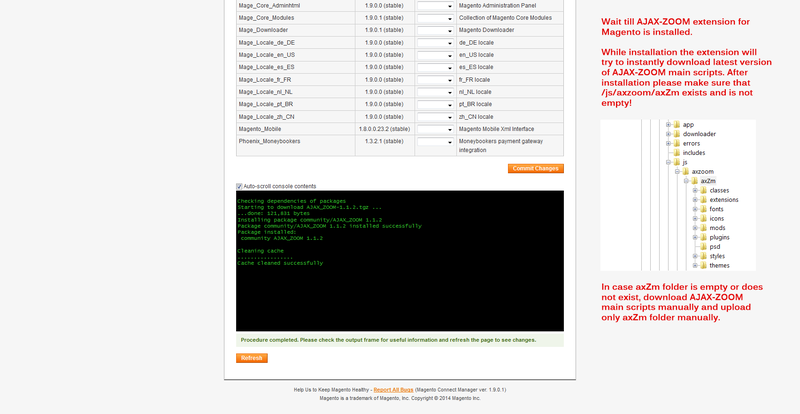 Also please check that the following folders were created and are writeable by PHP! If you do not see any changes on the detail page, then the media.phtml file from /app/design/frontend/base/default/template/ax_zoom /catalog/product/view/media.phtml is not loaded. There must be some other media.phtml that loads instead. Perhaps this is media.phtml from another extension or media.phtml that is defined in local.xml of the theme. Please find out which media.phtml loads, backup this file and replace it with media.phtml from the above path ("AJAX-ZOOM media.phtml"). Another solution would be to remove "setTemplate" from XML which loads a different media.phtml. However, this directive can also be in the module controller of that extension, so the prior solution should work for testing purposes at first. Make sure Ioncube Loaders are installed!!! 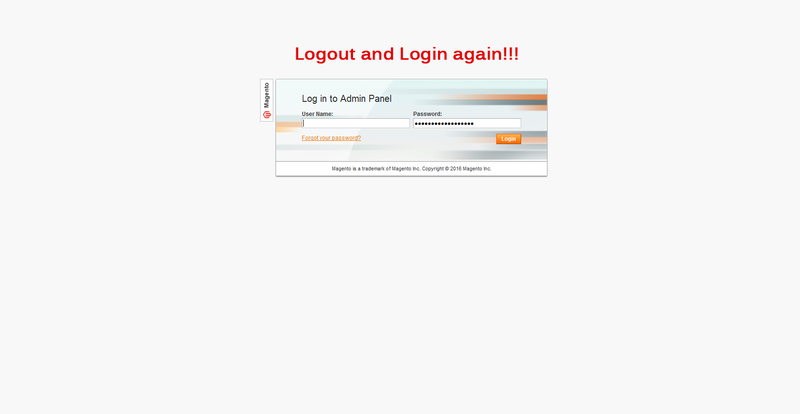 You can call www.your-domain.com/js/axzoom/axZm/zoomLoad.php in your browser and see if you get an error related to Ioncube. Some (shared) hosts do not allow to execute PHP files if they can be edited by "group". In server error log files you will find something like that: SoftException in Application.cpp:313: File "/home/abc/public_html/js/axzoom/axZm/zoomLoad.php" is writeable by group, which causes Server Error 500 or Error 400 (not found), when calling /js/axzoom/axZm/zoomLoad.php. In this case make sure that the folder /js/axzoom/axZm and its subfolders are chmod 0755 and the files within it are chmod 0644. You do not need to download AJAX-ZOOM main script separatly as the module can instantly download the latest version of AJAX-ZOOM during the installation. 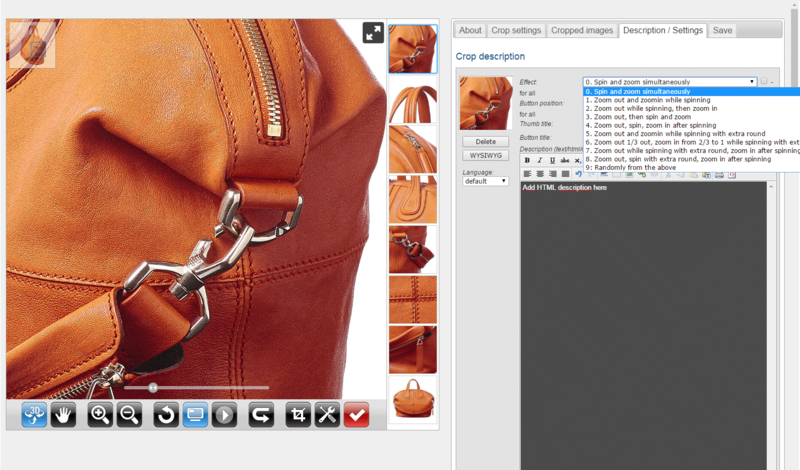 Changed the way how AJAX-ZOOM tab is created at the backend when editing the product. In certain cases, this tab button could not be created previously. Fixed a bug while saving the data for the new "Simple" license. 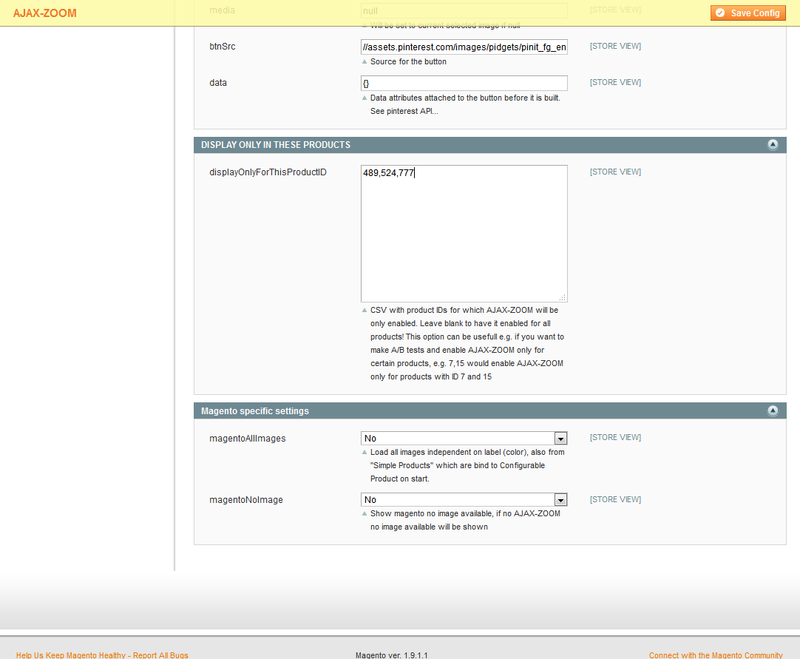 Implemented the AJAX-ZOOM cache batch tool directly into the plugin configuration section. Small corrections in media.phtml file. Added a possibility to display per option the 360 || videos || images with hotspots e.g. 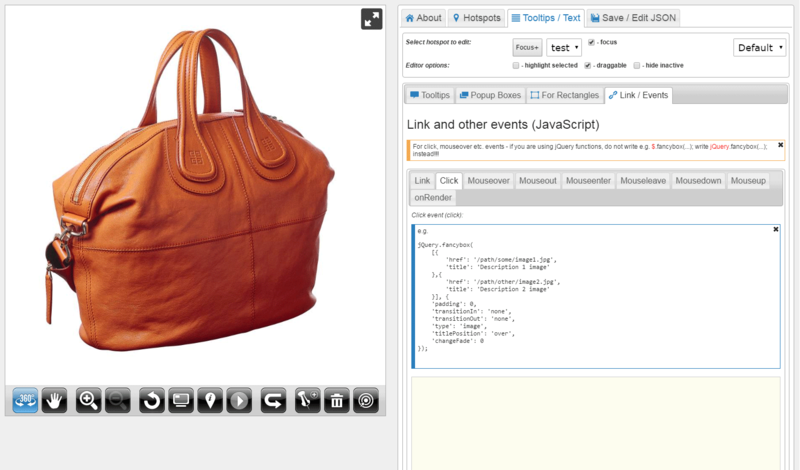 after product description or anywhere else per jQuery selector. Images with hotspots can be disabled from gallery view, but will load inside AJAX-ZOOM player if they have hotspots configured. After update you should navigate to System -> Configuration -> AJAX-ZOOM and under "Actions" tab press on "Update Database" button. 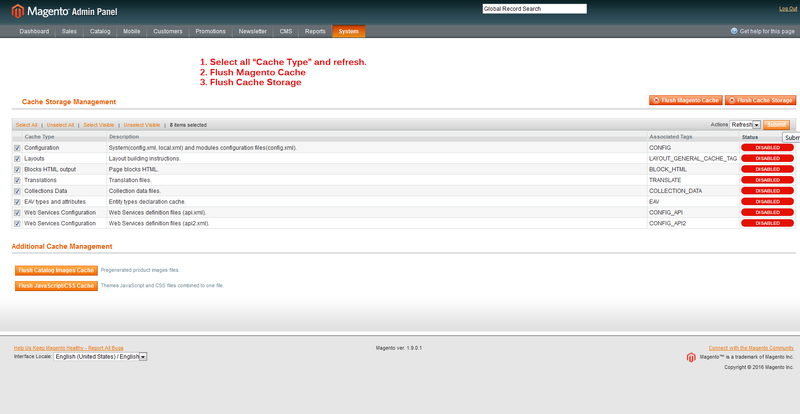 In case "Cache Storage" under System -> Cache Management is enabled, please refresh caches. 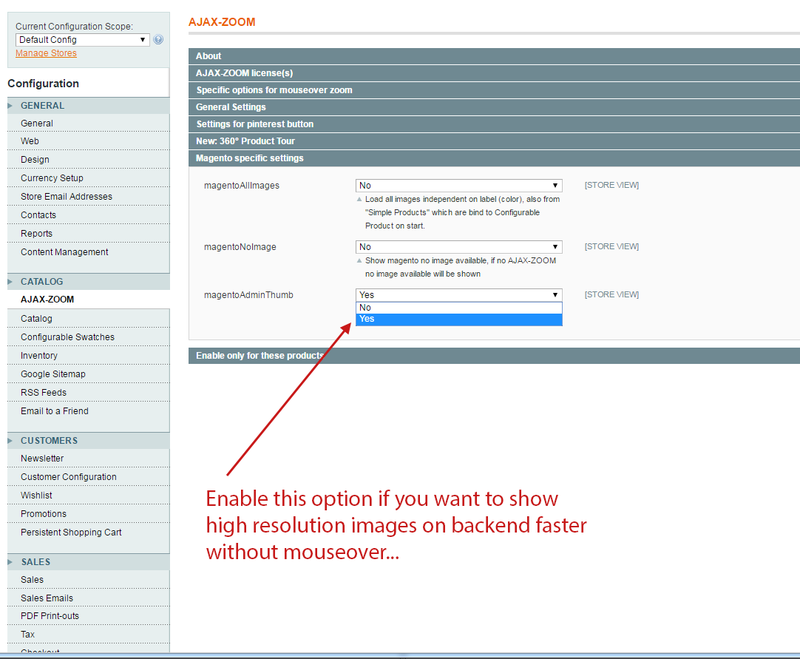 If you update from the previous versions please navigate to AJAX-ZOOM extension settings and reset options under actions tab. This is really important as you will have misconfigured player at the frontend if you do not do that. 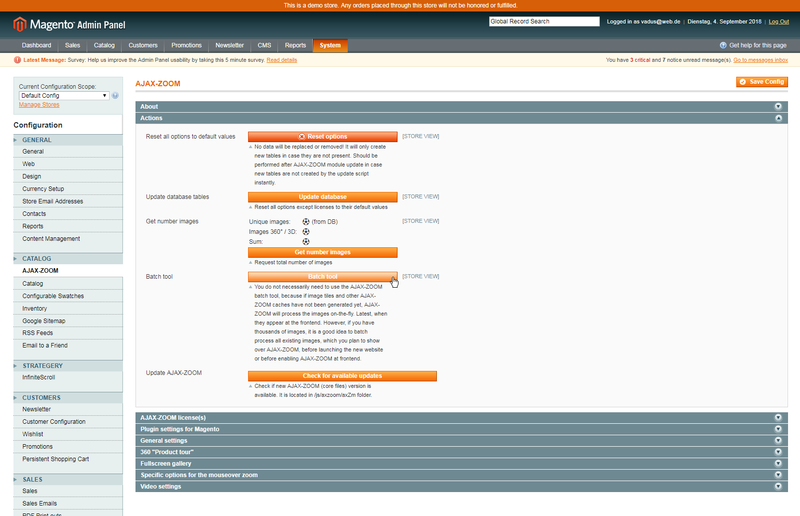 Also please make sure that you have latest AJAX-ZOOM version (update js/axzoom/axZm foder). 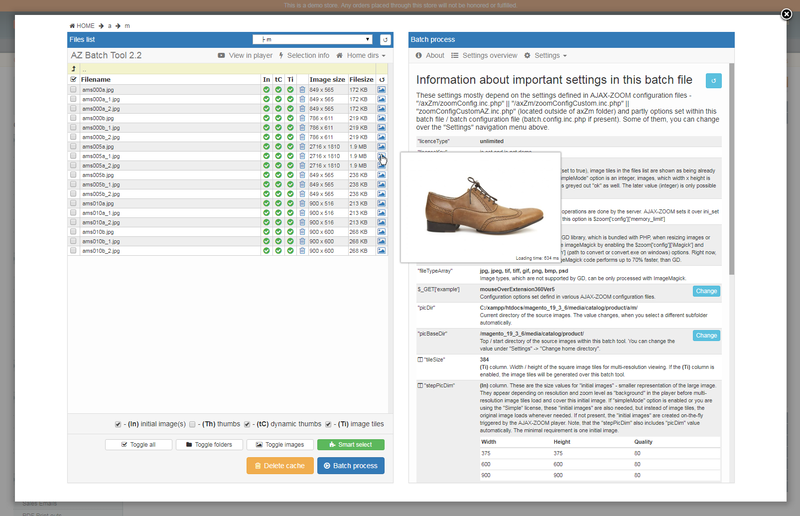 Updated 360 product tour editor. Added 360 degree "Product Tour"
Fixed the bug where activating Backend > System > Configuration > Web > URL options -> "Add Store Code to URLs" caused error in backend of the extension.